Whether you’re an adrenaline-loving thrill seeker, a pint-sized adventurer, a game champion – or all of the above – we have everything you need to start the season off right. Spin right into the action on HARLEY QUINN Spinsanity, explore the animated world of Looney Tunes Movie Town, and make a pit stop to pick up your favorite theme park funnel cake. 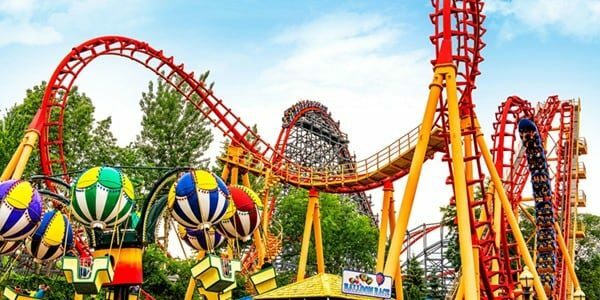 To get the most out of Opening Weekend and the rest of the 2019 season, sign up to become a Six Flags Member to enjoy perks like priority parking and unlimited soft drinks, plus start racking up rewards points to earn something big by summer break! Everything You Need for Your Visit is Right at Your Fingertips! : Our mobile app includes an interactive park map and ride wait times. Plus, check park hours, events, show times, and buy tickets directly from your phone. Available for iPhone and Android.